The Kendall Howard 12U Compact Series SOHO Server Cabinet Rack is ideal for IT setups with limited space. The sleek, durable design is specifically constructed for small businesses, home offices, or IT professionals who want a compact design without sacrificing the safety of their server rack equipment. The Compact Series SOHO Server Cabinet Rack is perfect for setups with only one or two servers, saving valuable office space wasted by larger tower server racks. The heavy duty rack fits under a desk or serves a desktop rack for rack mounted servers and other server rack accessories. Additionally, this standard server rack shelf provides easy access for installing rack servers, with its lift off front and back doors, which also provide security as locking doors. The casters allow mobility and the adjustable rails (with universal mounting holes) provide versatility. 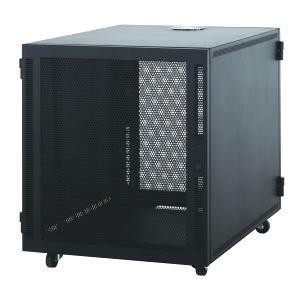 Finally, the mesh front and rear doors, as well as other venting, ensure that server rack equipment remains cool and functional. 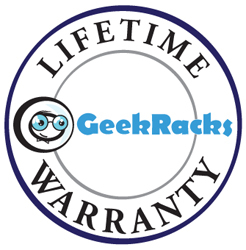 Racks2You.com is an industry leader in high quality server rack equipment. We offer an extensive variety of products, some of which are offered nowhere else. We also offer customized technical support. Our tech support hours are 9am-9pm EST, but if you are making an installation outside our normal hours, call us and we will alter them and make a technical assistant available to you. How many other companies alter their hours for customers? At Racks 2 You, the customer really is our top priority. Additionally, our products ship to business addresses in 1-2 businesses via common shipping to let you get the server rack equipment you need when you need it.